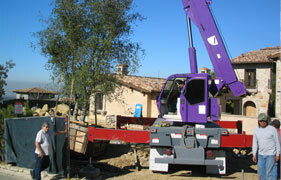 Purple Crane, Southern California\'s most trusted crane rental company since 1983. In our thirty years business, we performed over 75,000 lifts throughout Southern California. We specialize in both light and heavy-duty lifts. Our state-of-the-art equipment includes cranes ranging from 3-ton to 75-ton capacity.